37 years of peace and hope: the feast of the Queen of Peace is celebrated (a feast that is not yet officially recognized, but it is still possible to celebrate the feast of the Blessed Virgin Mary). In the ‘alleged’ appearance of February 2, 1982, Our Lady said: ‘I would like the Feast in honor of the Queen of Peace to be celebrated on June 25’; just that day the faithful went for the first time on the hill! 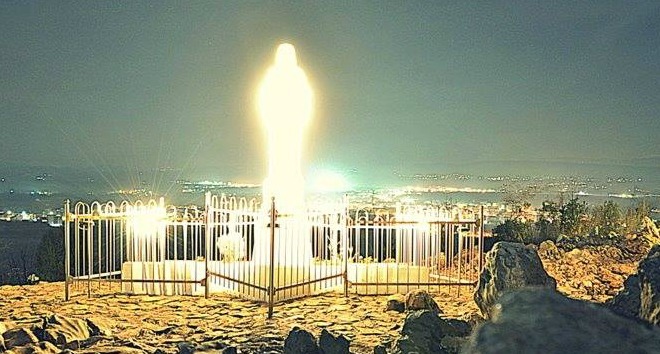 While we await the report and the indications of Pope Francis in joy and prayer, we propose this ‘Special’ from the town of Bosnia Herzegovina, known throughout the world for the possible apparitions of Our Lady. According to the testimonies of the visionaries, the Virgin appeared on the hill of Podbrdo. 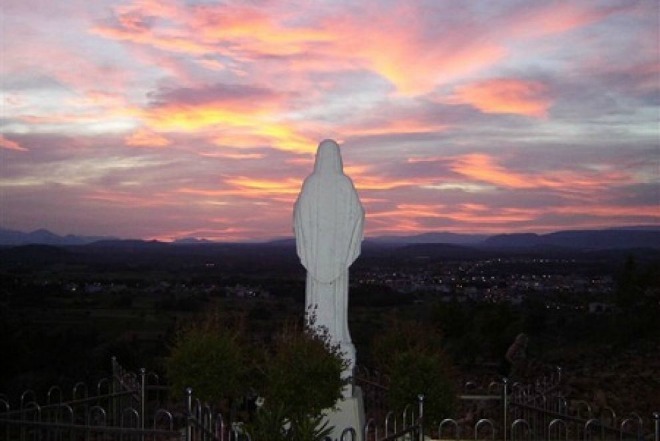 From that day Medjugorje has changed. It was a village of shepherds, while now pilgrims come from all over the world: two million a year, six hundred thousand Italians. 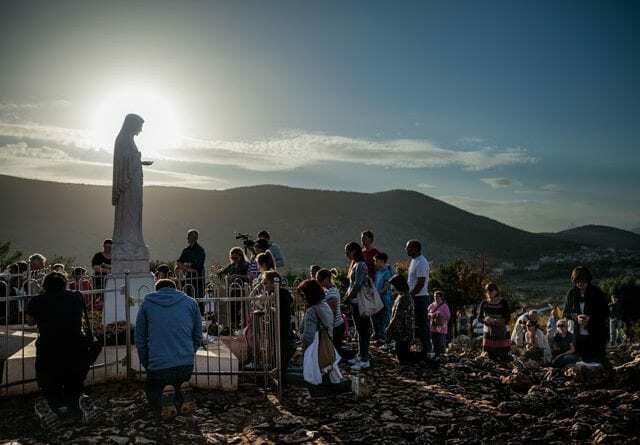 Medjugorje at the beginning of the apparitions was a small unknown village, not even marked on maps. Now it is one of the best known locations in the world. 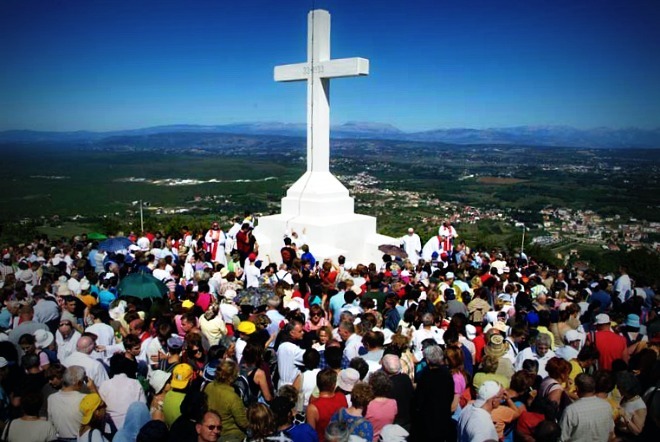 Medjugorje means ‘land between the mountains’, in fact it is located on the edge of a small plateau, surrounded by hills. It is located in the municipality of Citluk, about thirty kilometers away from Mostar (Herzegovina), and the village is also home to a parish run by the Franciscans in the province of Herzegovina. This parish belongs to the diocese of Mostar and includes, in addition to Medugorje, also the hamlets of Bijakovici, Miletina, Vionica and Surmanci. It has a beautiful church, with three naves, completed in 1969, and three other churches. 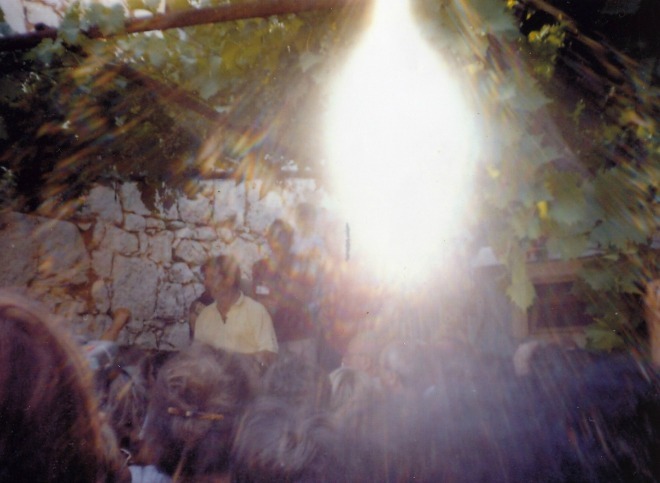 According to the story of the 8 visionaries above Mount Crnica, in the locality of Podbrdo, in the village of Bijakovici, the Madonna appeared on June 24, 1981. At the precise spot indicated by the visionaries as the place where Our Lady appeared to them a large wooden cross was erected, placed on a pile of stones now blackened by the smoke and wax of candles, lit continuously. At the edges of the clearing, in the cracks between the rocks, you can see many other small crosses, some with the crucified Christ hanging, others without: sacred images are attached to the crosses or sheets of paper on which are hand-written by the many who have passed hence, requests for grace, prayers or other; or there are hung coronets, collanine, flowers, photographs, ex votos in general. Other more improvised and crafted crosses, built by twining two sticks or twigs or even two stalks of grass, tied together at the crossing point with a ribbon or a thread, appear everywhere, on the bare stone or in the thorn bushes. 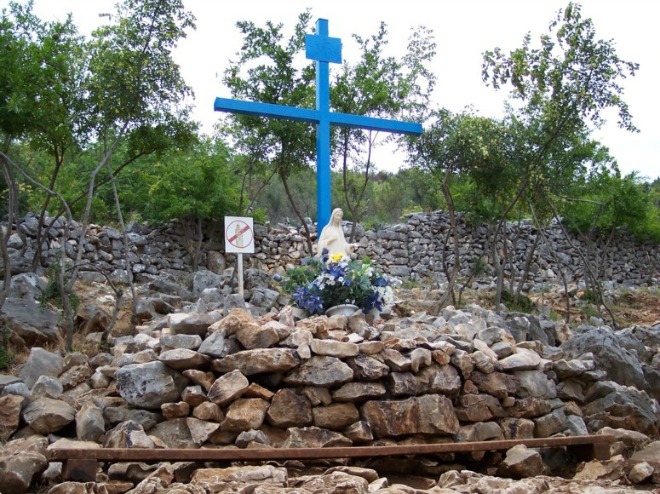 Over time, at the foot of the Podbordo, another small corner of prayer has arisen whose name is given by the blue color of the wooden cross that some have placed in the place where the Madonna appeared in the first days of the apparitions, when it was not possible to go to the hill because of the police ban. Today, apparitions occur here to Ivan and his prayer group (every Tuesday and Friday) and to Mirjana (the second day of the month). At the Blue Cross, especially on certain solemnities, there are present some thousands of people since at that place at the foot of Podbrdo it is easily accessible from the road, even for elderly and sick people. The other mountain that makes a corner with the Crnica was once called Sipovac (540 m in height), but since 1933 it has taken the name of Krizevac, because of a large concrete cross raised on top by the parishioners to honor the 1900s years of death and resurrection of Christ. Since then every year for the Feast of the Exaltation of the Cross, which is celebrated here on the Sunday after the Nativity of Mary (September 8), up to 70,000 pilgrims gather around the Eucharist. The cross of Krizevac is dear to God, as Our Lady revealed in the message of August 30, 1984: ‘Dear children, even the cross was part of God’s plan, when you built it … Go to the mountain and pray before the cross. I need your prayers’. On the cross are engraved the words: ‘To Jesus Christ the Redeemer of the human race, as a sign of faith, love and hope, in memory of the 1900th anniversary of the Passion of Jesus’ and a relic from Rome has been inserted for the occasion: a little piece of the cross that Christians consider the one on which Jesus Christ was crucified and whose main part is preserved in the church of the Holy Cross of Jerusalem in Rome. Many people right on this mountain have found peace and their own way that leads to God. 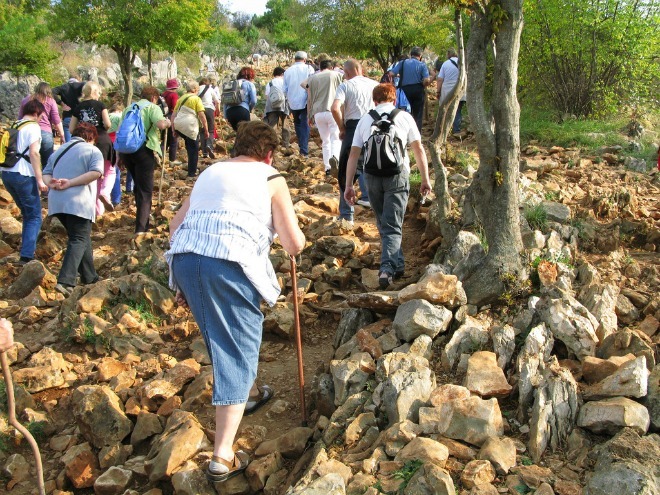 To get to the foot of the cross you have to go along a path much steeper, more difficult and longer than that of Podbrdo. Just by climbing up the steep path that leads to the summit, the pilgrims began to celebrate the devotional practice of the Via Crucis and so, on either side of the path, fourteen simple crosses marked with Roman numerals were placed, which serve as stations. The Virgin follows Jesus and we too along the way of life. 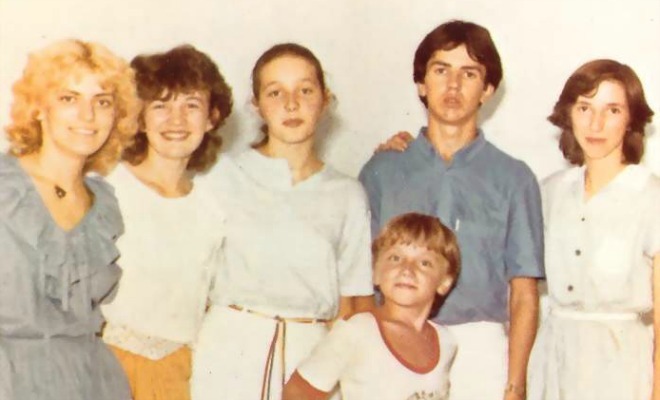 On June 24, 1981 at 6.00 pm, six young people from the parish of Medjugorje, Ivanka Ivankovic, Mirjana Dragicevic, Vicka Ivankovic, Ivan Dragicevic, Ivan Ivankovic and Milka Pavlovic, saw on the hill Crnica, in the place called Podbrdo, an apparition, a white figure with a child in her arms. Surprised and frightened, they did not approach her. The following day at the same time, on June 25, 1981, four of them, Ivanka Ivankovic, Mirjana Dragicevic, Vicka Ivankovic and Ivan Dragicevic, felt strongly attracted to the place where, the day before, they saw what they recognized as the Madonna. Marija Pavlovic and Jakov Colo joined them. 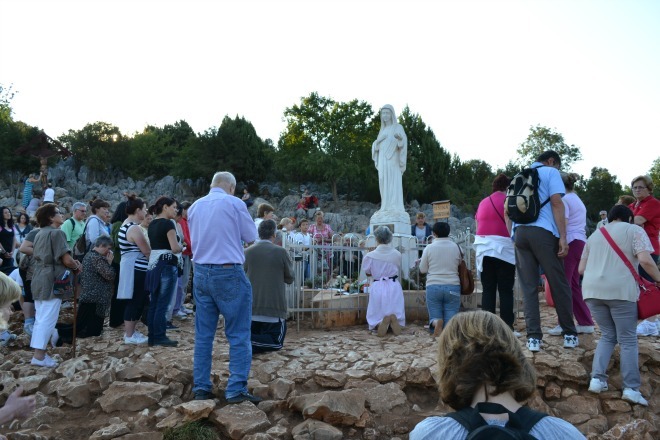 The group of visionaries of Medjugorje was thus formed. They prayed with Our Lady and talked with her. Since that day, they have had daily appearances, together or separately. On June 24, 1981 at about 6 pm the following young people: Ivanka Ivankovic, Mirjana Dragicevic, Vicka Ivankovic, Ivan Dragicevic, Ivan Ivankovic and Milka Pavlovic saw, in an area called Podbrdo (on Mount Crnica), a young and beautiful woman with a baby in her arms. That time she did not tell them anything, but only motioned them with her hand to approach. But the children, astonished and frightened, did not approach at all, although they immediately thought it was the Madonna. On the second day, June 25, 1981, the children all at the same time went again to the place where the Madonna appeared to them the day before, hoping to see her again. Suddenly a light flashed. Together with it the children saw the Madonna, but without the child in her arms. She was indescribably beautiful, radiant and smiling. With her hands she gestured them to approach. They took courage and approached her. Immediately they fell on their knees and began to recite the Our Father, the Hail Mary and the Glory Be, and Our Lady prayed with them, with the exception of the “Ave Maria”. After the prayer, she started talking to the children. Ivanka immediately asked her about her mother who had died two months before. Mirjana asked the Virgin a sign to make it clear that they had not lied and were not crazy, as some claimed. At the end the Madonna took leave of the young people with the words: ‘Goodbye, my angels!’ To the children’s question, that is, if she would appear again the following day, she answered with an affirmative nod. According to the testimony of the children, the whole scene had been indescribable. That day on the spot where they had seen the Virgin the day before were not present Ivan Ivankovic and Milka Pavlovic. In their place were Marija Pavlovic and Jakov Colo. From then on the six children, according to their testimony, the Virgin appears regularly. Milka Pavlovic and Ivan Ivankovic who were together with the other seers on the first day, have not seen her since although they later joined the others hoping to see her again. On June 26, 1981, the children could hardly wait until 6.00 pm, the hour when the Virgin had appeared before them. They went again to the same place to meet her. They were very happy, but that happiness was a little mixed with fear due to the uncertainty that still prevailed over all this. But despite all, the children felt an inner strength that attracted them to the Virgin. When they were still on their way, a light flashed rapidly three times. For them and for the others who followed them this was the sign that made them understand where Our Lady was. This time something more appeared than in the previous days, but in the meantime the Virgin had suddenly disappeared. But when the children began to pray again she reappeared and she was wonderful, serene, happy and smiling. Leaving the house, on the advice of some elderly women, a man from the group who had gone with the children to the apparitions had brought with him some holy water so that the children could use it to sprinkle the apparition and in this way put themselves at the shelter from satan. Once in the company of the Virgin, Vicka took the water and began to sprinkle, saying: ‘If you are the Madonna stay with us, if you are not, go away!’. Hearing this the Virgin smiled and stayed with the children. That same day, once the children left Podbrdo, the Virgin appeared again, but only to Marija and said: ‘Peace, peace, peace and only peace!’ The cross was behind her.And with tears in her eyes she repeated twice: ‘Peace must reign between God and men and in the midst of men!’ This point is located about halfway up the road leading to the site of the apparitions. On June 28, 1981, as soon as it was time, countless people came from everywhere. At midday there were fifteen thousand people. That same day the parish priest, Fra Jozo Zovko, questioned the children about what they had seen in the previous days. At the usual hour the Virgin appeared again. The children prayed with her and again asked heru some things. For example, Vicka asked her: ‘My Madonna, what do you want from us?’ and again ‘My Madonna, what do you want from our priests?’ and she replied, ‘Let the people pray and believe truly!’ and, concerning the priests, she replied that they really had to believe and also help others in this sense. ‘Blessed are those who without seeing will believe’. Although the day was muggy and people were asking a lot of questions, the children felt like they were in paradise. On June 29, 1981, the children were taken to Mostar for a medical examination and after the exams they were declared healthy. The responsible doctor declared the following: ‘The crazy guys are not the children, but those who brought them here’. That same day Our Lady miraculously healed a child, Danijel Setka, whom his parents had led there, asking that he be healed. She promised, on condition that parents prayed, fasted and really believed. At that point, the child was healed. On June 30, 1981, two men proposed to the children to go with them for a ride in the car; in fact, their goal was to go far from the place of the apparitions and to hold them until the time of the apparitions would have passed. However, although the children were far from Podbrdo, at the usual time of the apparitions, as if feeling an inner push, they asked to get out of the car. 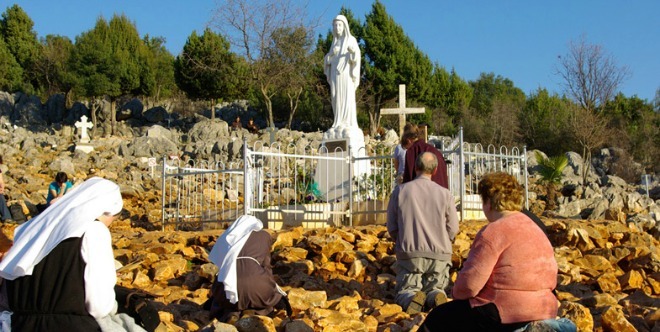 They went down and prayed and the Virgin from the Hill of the apparitions, many kilometers away from Medjugorje, came to meet them and recited with them seven Our Father’s … So the deception of those men did not succeed. Immediately after, the police began to prohibit access to Podbrdo, the place of the apparitions. The children, and later not even to the crowd, were allowed access to that place. But the Virgin continued to appear to them in secret places, in their homes, in the countryside. The reassured children spoke openly with the Virgin and willingly listened to her advice, admonitions and messages. All this continued until January 15, 1982. Meanwhile, the parish priest had begun to call pilgrims to church to participate in the Rosary and the celebration of the Eucharist. Even the children came and recited the Rosary. Here, too, the Madonna appeared to them sometimes. 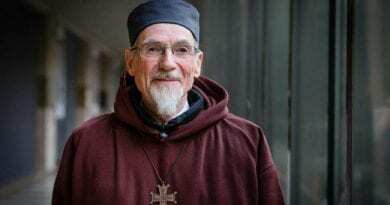 The same parish priest, Fra Jozo Zovko once, while reciting the rosary, saw the Virgin and interrupted the prayer and spontaneously began to sing ‘Beautiful! You are beautiful, Virgin Mary’. The whole church understood that something unusual was happening. He later declared that on that occasion he had really seen Our Lady. And he who until then had not only had doubts, but had been opposed to the rumors about the apparitions, became their proponent and continued to bear witness to the point of being imprisoned. From January 15, 1982 the children saw the Madonna in an area near the church and this was granted to them by the parish priest because of the recent difficulties and dangers. The Virgin had already previously consented. From April 1985, at the request of the diocesan bishop, the children abandoned this space which was the site of the apparitions in exchange for a small room in the parish rectory. For all this period of time, since the beginning of the apparitions to date, there have been only five days the children have not seen Our Lady. The Virgin has not always appeared in the same place and her apparitions have not always had the same duration. Sometimes only for a couple of minutes, sometimes hours. In addition, the Virgin has not always appeared when the children wanted it. Once they prayed and waited, but the Virgin did not appear at that hour, nor later, in an unexpected way. Sometimes she appeared to some and not to others. If she had not previously promised to appear at a certain time, no one was able to predict if or when shet would appear. She not only manifested to the seers, but also to other people of any age, culture, race or interest. All this makes us understand that the apparitions are not controlled by man, and does not depend on time, place, desire or prayers of the seers and the people, but only by the will of who appears. 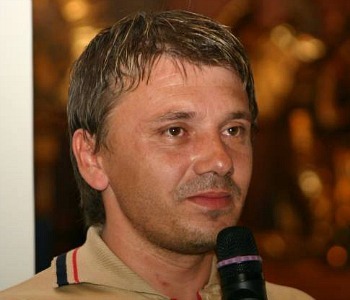 Jakov Colo was born on March 6, 1971 in Sarajevo. 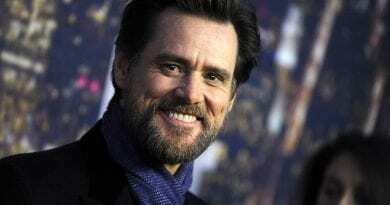 He had daily appearances from June 25, 1981 to September 12, 1998. That day, entrusting him with the tenth secret, the Virgin told him that throughout his life he would have an apparition once a year, on Christmas Day, December 25. 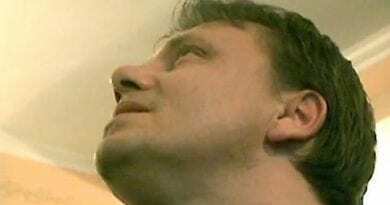 Jakov is married, has three children, and lives with his family in Medjugorje. The intention of prayer entrusted to him by the Virgin: for the sick. 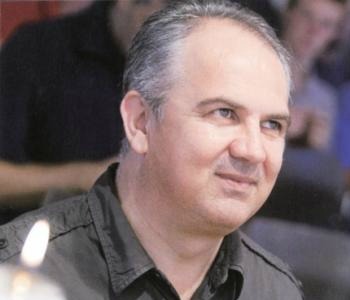 Ivan Dragicevic was born on May 25,1965 in Bijakovici, a hamlet of Medjugorje. He still continues to have daily appearances. The Virgin revealed nine secrets to him. Ivan is married, has four children, and lives with his family in the United States and in Medjugorje. The intention of prayer entrusted to him by the Virgin: for the youth and for the priests. 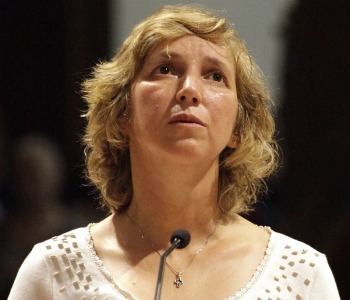 Ivanka Ivankovic-Elez was born on June 21, 1966 in Bijakovici, a hamlet of Medjugorje. She was the first to see the Gospa. Until May 7, 1985, she had daily apparitions. 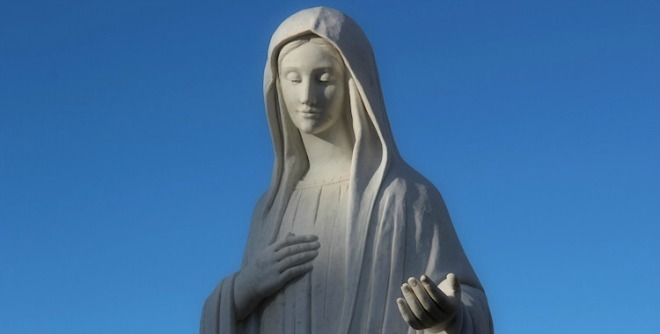 On that day, entrusting her with the tenth secret, the Virgin told her that throughout her life she would have an apparition every year on the anniversary of the apparitions, on June 25. Ivanka is married, has three children, and lives with her family in Medjugorje. The intention of prayer entrusted to her by the Virgin: for families. 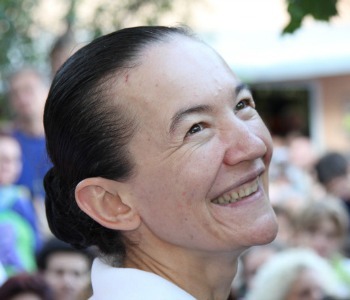 Marija Pavlovic-Lunetti was born on April 1,1965 in Bijakovici, a hamlet of Medjugorje. She still continues to have daily apparitions. The Virgin has revealed nine secrets to her. Through her, the Virgin sends her message to the parish and to the world. From March 1, 1984 to January 8, 1987, the message was given every Thursday, and from January 25, 1987, the 25th of each month. The Virgin revealed nine secrets to her. 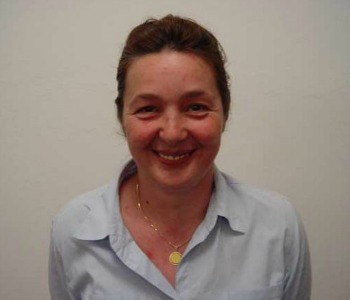 Marija is married, has four children, and lives with her family in Italy and in Medjugorje. The intention of prayer entrusted to her by the Virgin: for the souls in purgatory. Mirjana Dragicevic-Soldo was born on March 18, 1965 in Sarajevo. He had daily appearances from June 24, 1981 to December 25, 1982. On that day, entrusting her with the tenth secret, the Virgin told her that throughout her life she would have a yearly apparition on March 18th. 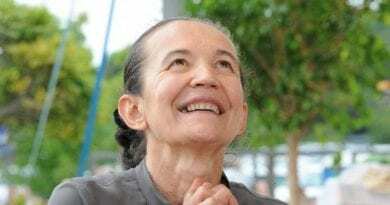 From August 2, 1987, according to her testimony, on the second day of the month, Mirjana hears the voice of the Virgin and now sees her and together with her pray for the unbelievers. Mirjana is married, has two children, and lives with her family in Medjugorje. The intention of prayer entrusted to her by the Virgin: for the unbelievers, those who do not know the love of God. Vicka Ivankovic-Mijatovic was born on September 3, 1964 in Bijakovici, a hamlet of Medjugorje. She still continues to have daily apparitions. The Virgin revealed nine secrets to her. Vicka is married, has two children and lives in Krehin Grac near Medjugorje. The intention of prayer entrusted to her by the Virgin: for the sick. According to the unanimous testimony of the visionaries, during her apparitions the Virgin gave certain messages for humanity. Although there have been many messages, it is possible to refer them to five basic messages because all the others represent or support these five. Considering the fact that the visionary Marija saw the cross behind the Madonna while expressing this message, this clearly means that this peace can come only from God who through the Virgin in Christ has become ‘our peace’ (Ephesians 2:14) , ‘Peace not as the world gives it’ (John 14,27) and for this Christ has commanded His Apostles to bring it to the world (Matthew 10,11) so that all men can become ‘sons of peace’ (Luke 10.6). 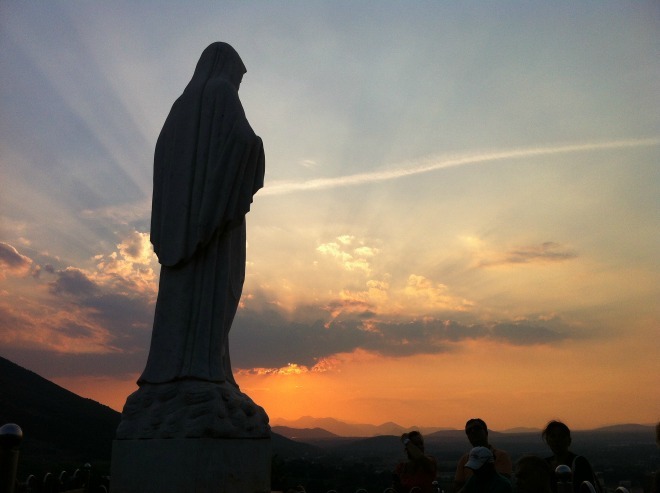 Therefore, even the Virgin, as ‘Queen of the Apostles’, is presented in Medjugorje as the true ‘Queen of Peace’. No one else knows, like her or better than her, how to convince the current world that it is facing problems of destruction and the fact that peace is the greatest and most precious good. 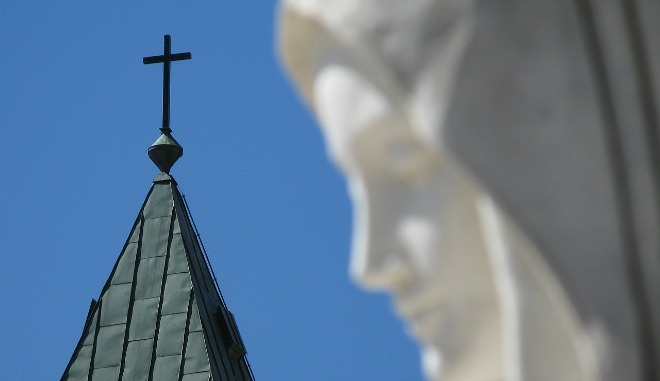 FAITH – The second message of the Virgin is that of faith. The Virgin spoke about it on the fourth, fifth and sixth days of the apparitions and this is understandable. That is, without faith it is not possible to find peace. Therefore faith is the answer to the word of God in which He not only manifests Himself, but gives Himself to men. In faith, man receives the word of God who in Christ has become “our peace” (Ephesians 2:14). By welcoming it, man becomes a new man, with a new life in Christ and a participant in the nature of God (Ephesians 2:18). Thus man obtains peace, both towards God and towards men. No one, therefore, knows how Our Lady is the value of faith and how important it is for the man of today. For this reason she always puts it before the visionaries and asks them to give it to others. She puts it before all that men seek and consider it the primary condition to be able to satisfy all the requests, wishes and prayers that refer to health and to any other human need. CONVERSION – Conversion is also one of the most frequent messages of the Virgin because in today’s man faith is weak or completely absent, and without conversion, it is not possible to obtain peace. True conversion means ‘to wash the heart’ (Jeremiah 4:14) because a corrupt heart creates and favors an unsatisfactory structure and social relations, unjust laws and servile organizations. Without a radical transformation in the heart and its conversion, peace is not possible. This is why Our Lady recommends frequent confession. This request is indiscriminately addressed to all men because ‘there is no right, not even one … all were misled, all were corrupted’ (Romans 3: 11-12). PRAYER – From the fifth day of the apparitions and almost daily, the Virgin recommends prayer. She asks all men to pray incessantly, just as Christ had asked (Mark 9,29, Matthew 8,38, Luke 11,5-13 …). Prayer therefore spurs and reinforces the faith of man, without which there are no regular relations, either with God or with others. Moreover, through prayer, man manifests his vital bond with God: He recognizes Him, thanks Him for the gifts received and confidently expects all the other things he needs, especially salvation. Prayer reinforces this attitude of man and helps him to establish a regular relationship with God because without this relationship it is not possible to preserve and promote peace with oneself and with others. The validity of prayer is particularly evident because the Word of God is addressed to man and man responds to it with words. The answer is an expressed faith or just a prayer that strengthens, renews, promotes and supports prayer itself. Furthermore, through prayer, man proclaims God and the Gospel and ignites faith in others. FAST – From the sixth day of the apparitions the Virgin has frequently recommended fasting which is at the service of faith. In this way man verifies, strengthens and assures his own control of himself. Only the man who manages to dominate himself can be free and ready to put himself at the service of God and neighbor, as faith wants. Fasting guarantees to man that his surrender to the faith is sincere and sure. Fasting helps man to free himself from any slavery and above all from sin. Who does not belong to himself is a slave. So fasting helps man to curb his desires that would easily lead him to waste the goods in a reckless way that others would need for mere survival. With fasting it is possible to obtain goods that allow us to show our love for the poor and the miserable and at least partially to bridge the differences between them and the rich. Fasting treats the poverty of one with abundance and that of others with poverty itself. In this way, we create that peace which today is in particular threatened by the enormous differences between rich and poor. From the messages of the Virgin it is clear that peace is the most precious good and that faith, conversion, prayer and fasting are the only conditions for obtaining it. 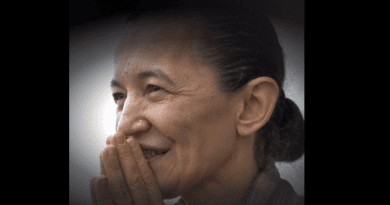 We have said that, in addition to the five messages that the Virgin gave to the whole world from the beginning, She began, from March 1, 1984, every Wednesday and through Marija Pavlovic, to deliver other messages for the parish of Medjugorje and for the pilgrims who go to Medjugorje. Our Lady therefore chose not only the visionaries, but also the whole parish and pilgrims as her witnesses and collaborators. All this is evident in her first message, in which she says: ‘I have specially chosen this parish and I intend to guide it’. She confirmed all this on another occasion saying: ‘I have chosen in a particular way this parish which is dearer to me than others and I have gladly dwelt there when the Most High sent me’ (March 21, 1985). Our Lady has also provided a motivation for this choice: ‘Go back to the parish, this is my desire. So that all those who come here can do so (March 8, 1984). ‘I beg you, all of you who belong to this parish, live my messages’ (August 16, 1984). It is necessary that first of all the parishioners and the pilgrims become witnesses of her apparitions and her messages so that, together with the visionaries, they can realize her plans for the conversion of the world and reconciliation with God. The Virgin knows well the nature and the weakness of the parishioners and of the pilgrims with whom she intends to collaborate for the redemption of the world and she is sure that all this requires a supernatural force. And it is for this reason that she addresses them and leads them to the source of this force. The first source is prayer. In almost all her warnings, she strongly recommends it. Among the prayers particularly emphasizes the Holy Mass (March 7, 1985, May 16, 1985), a constant devotion to the Blessed Sacrament of the Altar (March 15, 1984), to the Holy Spirit (June 2, 1984, June 9, 1984, April 11, 1985, May 9, 1985, May 16, 1985, May 23, 1985 …) and the reading of the Holy Scriptures (October 8, 1984, February 14, 1985). 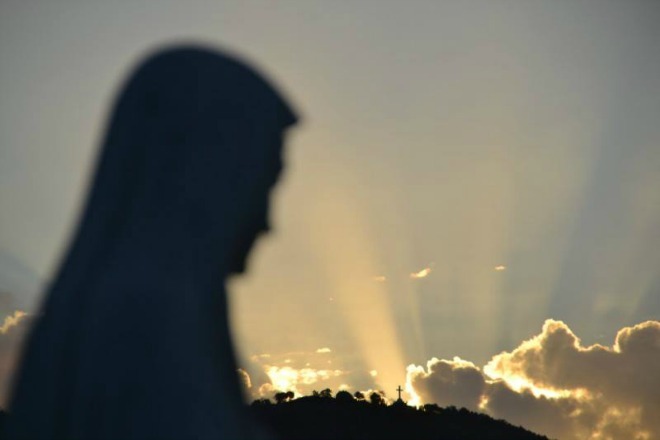 With these special messages addressed to the parish of Medjugorje and to the pilgrims, the Virgin wishes to deepen and make more understandable for all the first messages she has sent to the world. From January 25, 1987, the Blessed Virgin sends her messages on the 25th of each month through the visionary Marija Pavlovic. All this continues today. (Professor of theology, translator of the Holy Scriptures in Croatian, lives in Medjugorje).